Recently several of my kids and I went on a trip to the zoo with a large group of people. Kids were everywhere and people smiled and said hello. There were picnic lunches and adventures on a bright, sunny day. Picture perfect. Except for the part that none of the other children were playing with or including my child. In part it was our fault. They all wanted to go right but my kid wanted to go left. A stroller slowed us down and my child was proud to push his baby sister while the other kids were excited to hurry to the next exhibit. It’s understandable that most people missed the hurt that flashed across my son’s face when the others moved past him. They missed how he’d force himself to smile and quickly move on so as not to dwell in the pain. And, thanks be to God, so did one other woman. She saw past the surface level niceties to notice that none of the children were really playing with my child. She saw how we sat alone at lunch and how kids ignored him when he tried to initiate play. And so time and time again she made the choice to love us. She gently encouraged her child to see what she saw and to choose compassion and friendship. Repeatedly she course corrected, choosing to go left with us while the others went right, and sitting with us at our otherwise empty table. To everyone else it probably looked like we were never alone because of this woman and her child. No one else probably saw the intentional way this woman and her child reached out to us. In today’s Gospel we see how Jesus cannot help but to come to the aid of the broken who follow Him. (Matthew 12:15) We see how He asks for His works to remain hidden. We read that He will proclaim justice and His manner will be incredibly gentle. It was Christ Himself who did these things two thousand years ago, but today, those of us who bear His Name as Christians should also be known for the same actions. It was because of the way that Jesus Christ has moved in my friend’s life that she made the choices she did to love us quietly and gently. 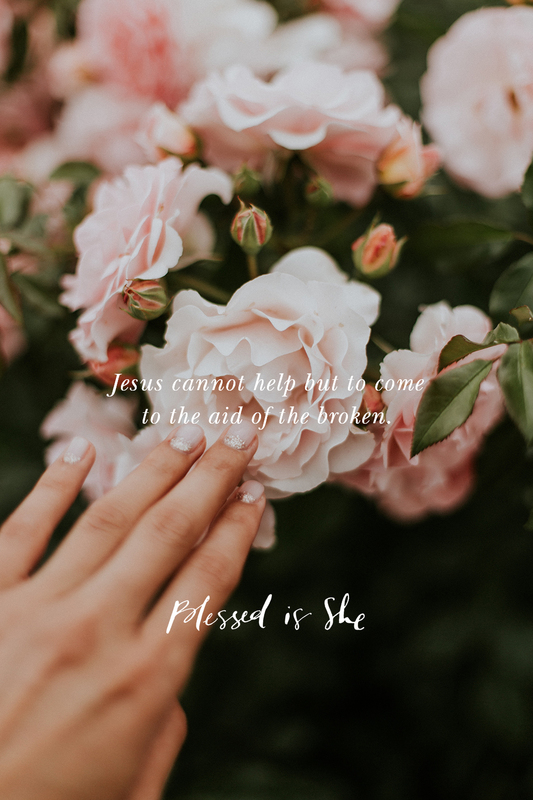 Because of her deep love for Him, she could not help but to help us. Sisters, today there will be someone around us who needs us. Let us pray to the Holy Spirit that when we notice them we will act with the same gentleness, love, and respect that Christ has modeled for us. Bonnie Engstrom is a writer, baker, speaker, and homemaker. She, her husband, and seven children live in central Illinois, and her son’s alleged miraculous healing through the intercession of Venerable Fulton Sheen was submitted to the Vatican for Sheen’s beatification. Bonnie pretends she has a green thumb, bakes a fantastic chocolate chip cookie, loves naps and chai tea, and blogs. You can find out more about her here. She is the author of the Blessed Conversations Mystery: Believe study found here. You are really lucky that the other mother cared enough to notice and to step up to the plate. My son is often in this situation. Other moms are good to us when we do one-on-one playdates, but when there’s a large group and my son is ignored or excluded, no one notices or helps (other than the moms of our local Catholic homeschool group, which is ironic since I’m not a homeschooler; maybe God is trying to tell me something?!). It is heartbreaking.